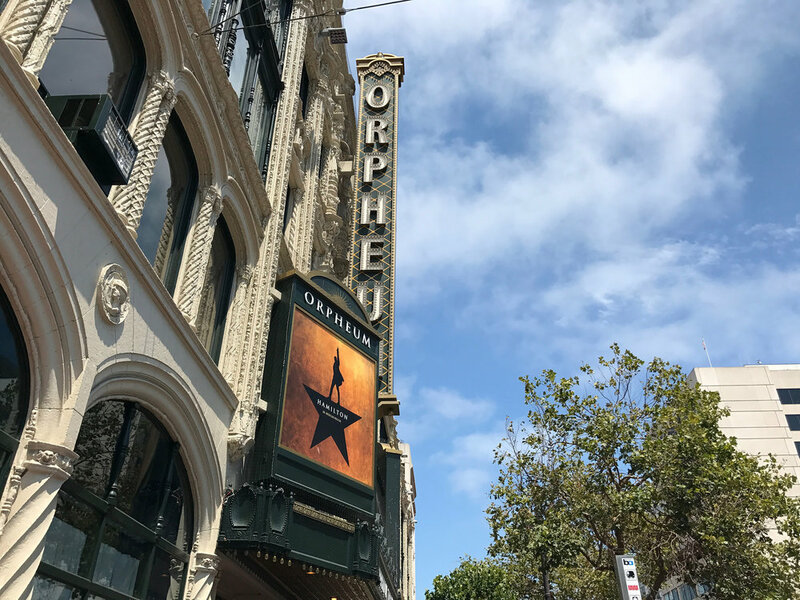 It’s been over two years since me and a bunch of closest friends discussed the cultural phenomenon of the Hamilton musical, and how if it ever does a tour here in San Francisco, we would just about do anything within legal parameters to attend. Hamilton started it’s four months stay at the Orpheum Theatre in March. It’s last show day was yesterday. We were there at the penultimate show, fulfilling a dream. For sure we were heading in with just insane amounts of anticipation and expectation due to the overwhelming success of the Broadway show and how we’ve suffered through four months of people on our social media feeds bragging about the wonderful performance. To say the least, we were not disappointed, but rather utterly amazed, and deeply hypnotized. 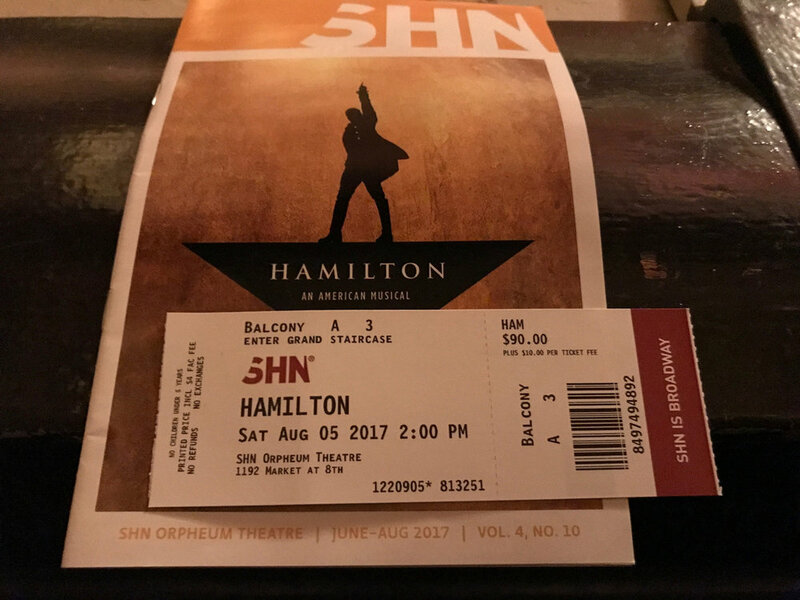 Hamilton is a masterpiece of performing art, and to see it live is an absolute privilege and joy. Akin to listening to my favorite hip hop songs, I was glued to the bars and wordplay putting history lesson into mesmeric prose, accompanied by a live orchestra to tingle the spine. This is one musical you cannot go see a recording of in a movie theatre as substitute; I’d dare say that would be an insult to the art-form. Hamilton is so incredibly moving, and so alive.